A child’s room is their sanctuary; a place to rest, dream of their futures, entertain their friends and grow into adulthood. Why not make your child’s room a unique space that reflects their personality and brings out their creativity. An interesting space in which your child will learn, thrive and play. Here are six creative children’s room ideas that will make you want to be a kid again. 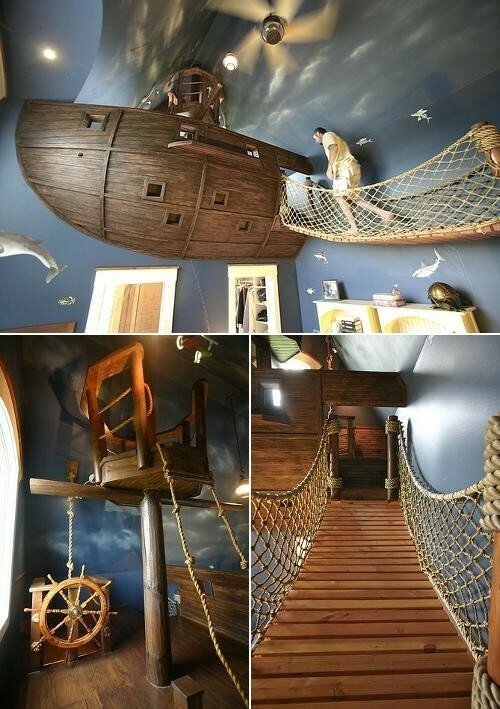 Your adventurous child will live out their imaginations in a pirate inspired room. The ideas for a pirate theme are endless. A built-in bridge leading to a pirate ship installed at the upper corner of the room. Ladders or a rope hanging from the pirate ship. A boat-shaped bed with a canvas sail in place of a headboard. A porthole-style sconce in place of a bedside lamp. A treasure chest for storage. Your child’s imagination will soar as they step through their own magic wardrobe into a secret Narnia of talking animals and mythical creature. 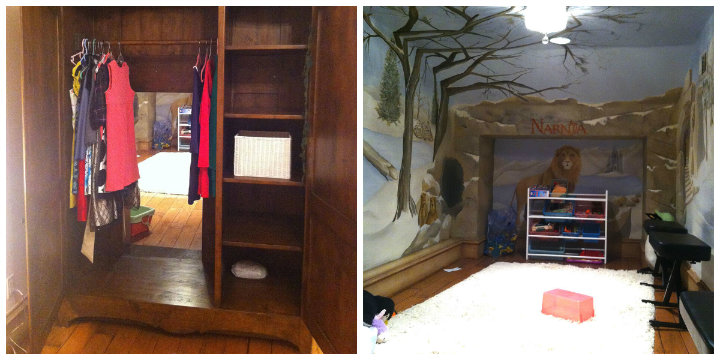 Here are a few great ideas for creating a Secret Chronicles of Narnia Room. Create a secret passage into your child’s room by placing a cabinet with the back taken out in front of the bedroom door. Paint a map of Narnia on the bedroom ceiling. 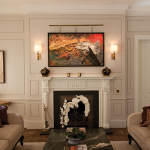 Install a lamp-post in the secret room and paint a wintry forest mural on the wall. Set up a special reading area, complete with the Chronicles of Narnia. A secret, adventurous treehouse in your child’s bedroom will satisfy your child’s need to climb and also create a secret private space for them to read, whisper to friends, or just have a quiet space to dream. There are many great ideas for a bedroom treehouse. 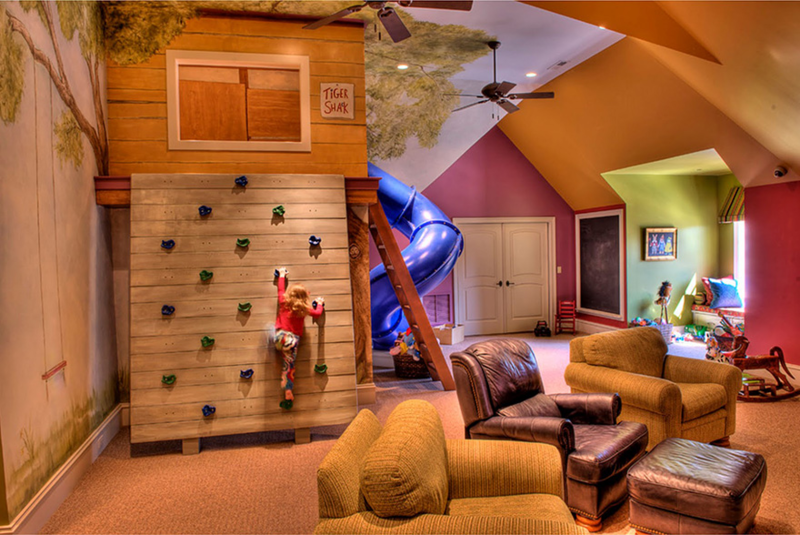 Install a climbing wall that leads up to the treehouse. Hang a climbing rope from the treehouse. Install a secret slide passage to exit treehouse. 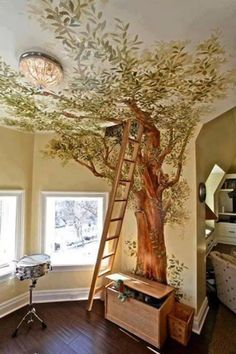 Paint a mural of a tree around the walls and ceiling of the treehouse. 4. Create a Sport’s Lovers Perfect Space to Play and Entertain their Teammates. 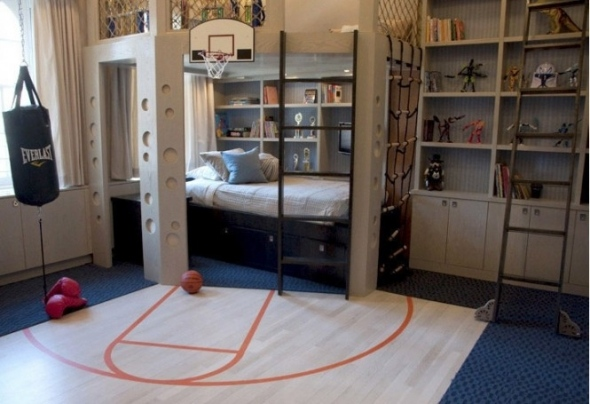 A sports theme bedroom can be specific to your child’s sport or a collection of various activities, but either way, your child will love a mini gym of their own to play and work on their athletic skills. Hang a punching bag from the ceiling. Line the room with beanbags shaped as soccer balls, baseballs, and basketballs. Install wood floors with painted free throw lines leading up to a basketball hoop. Make a headboard of old hockey sticks. Build a climbing wall up to your child’s bunk bed. 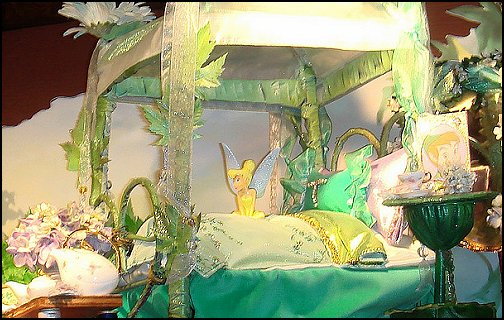 For girls who dream of a Fairytale world, a magical bedroom, filled with fairies and twinkling lights may be just the thing to make her happy. 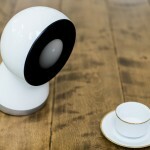 Hang gorgeous shimmering lights around the parameter of the bedroom. Place an artificial tree and decorate with whimsical fairies, birds, and white string lights. Install a wicker hanging chair. 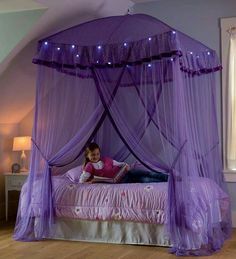 Create a canopy around your little girl’s bed by hanging a purple, pink or green sheer materials. Paint a whimsical mural of fairies, flowers, and gardens. Add glow in the dark stars to your daughters ceiling. A nature themed bedroom will encourage your future naturalist’s interest in wildlife and the outdoors. Set up a bookshelf stocked with books on animals, reptiles, plants, and fish. Create a cozy reading area. Consider purchasing a fish tank. Create a secret room in the ceiling, accessible by climbing a ladder that leans against a tree painted on the wall and ceiling. 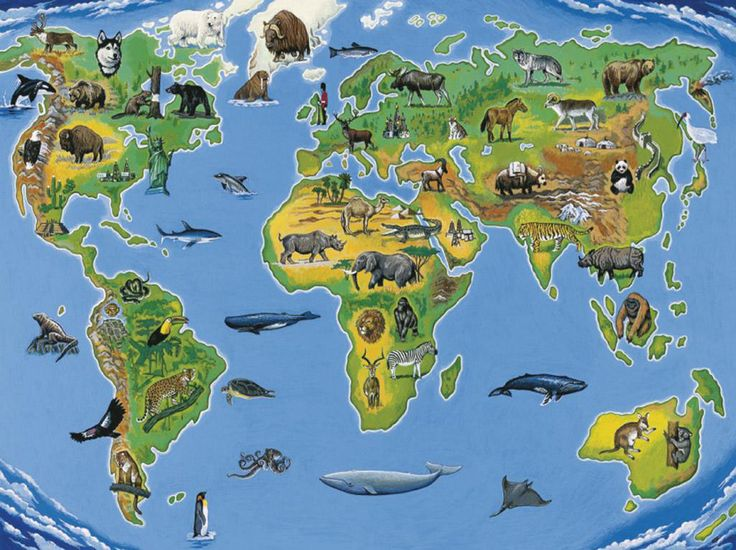 Decorate a wall with a large mural of the world. Inspire your child’s imagination by giving them a room of their dreams. And remember, when designing and decorating a child’s room, keep in mind his or her personality and interests. Visit Mosaik Homes for more creative children’s room ideas that will make you want to be a kid again.